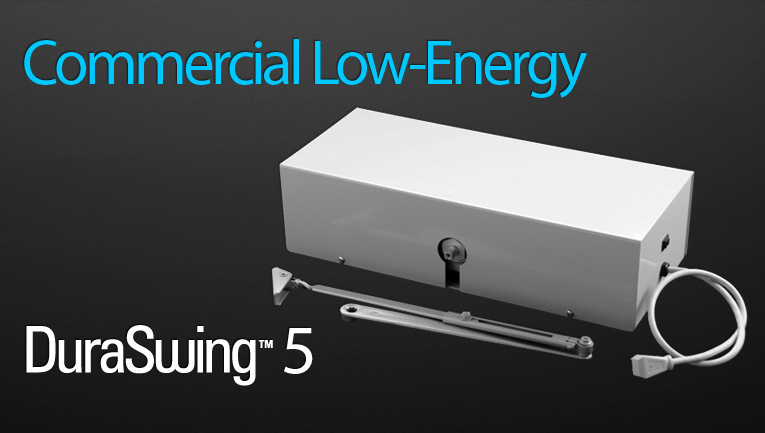 Remote controlled residential, Elevator and lift, and commercial low-energy door openers. Door Motion Technologies manufactures and distributes automatic, electric door openers/operators to assist handicapped, physically-challenged and elderly people in daily living for both Residential and Commercial applications. We also offer wheelchair lift and elevator door/gate opening systems. Our product line includes power door openers/operators for both residential and commercial use to accommodate disabled access needs. Since 1996, DMT has provided low-energy door opening systems for residences, elevators, wheelchair lifts and commercial doors. 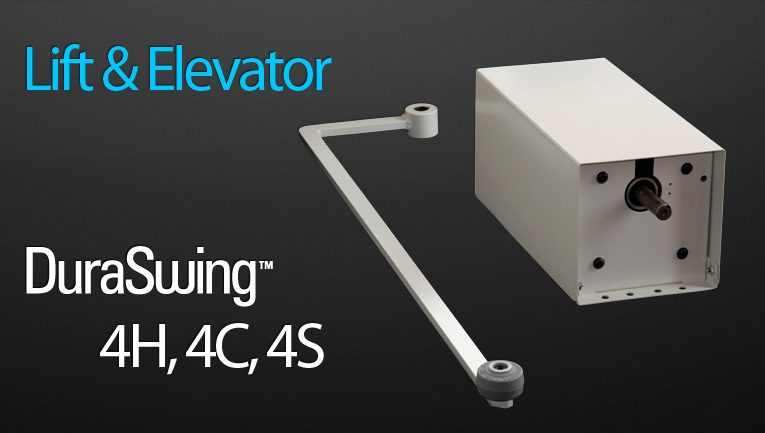 Starting with the Mark 4 (now called the DuraSwing 4) commercial door openers in the early years of the ADA, the system has been both commercial grade, tough and flexible enough to be the centerpiece for a comprehensive line of specialized door opening devices. All major components are made in the US, our door operator systems are designed, engineered and hand assembled in our plant in Portage, Michigan, with care and pride. Each sub-assembly is individually tested prior to final assembly, and each finished operator is load-tested several times prior to shipping. Gearhead motors are run-in several hundred cycles to insure smooth and quiet cycling. These beefy, 10lb DC motors and precision cut all-steel gears housed in cast and machined aluminum gearboxes, are custom manufactured to our specifications. Door Motion Technologies' automatic door openers will provide many years of dependable service. Thousands of physically challenged people are enjoying increased personal freedom to enter or exit their homes, public facilities and their workplace unassisted at the mere touch of a button. This commercial grade family of ADA door openers unlatches a locked door, opens it smoothly and quietly, and depending on program will hold for a user-determined time, then will return and close the door, compressing the weather seal tightly to insure latching and restoring security. Another program (standard and most commonly chosen) will hold the door open indefinitely until the user signals it to close. There is a variety of wireless door openers, wireless remotes, wall plates (wireless and wired), keypad, and customized transmitters designed to match the user’s ability. The door opener itself should take any reasonably handy-person less than two hours, using a drill, screwdriver and socket set. Power required is an ordinary 120VAC outlet for the provided cord to plug into. Power draw (current) is under 3 amperes, so no dedicated circuit is needed. A licensed electrician should be able to install an outlet near the unit in under one hour. 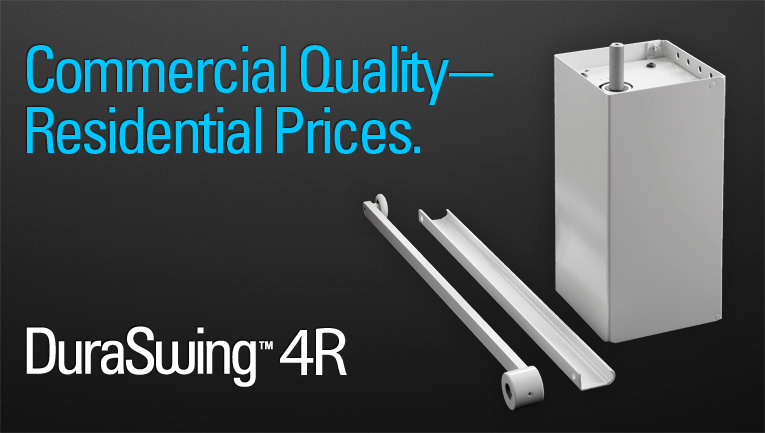 To date, at least 12 different installation variations have been reported (many of which are shown in the manual provided), making the DuraSwing 4 series easily the most versatile door opener on the market today.